Be happy for this moment. This moment...is your life. Stop. Breathe. Savor the moment. Let the past drift away and the future blur into the distance because there is only right now. 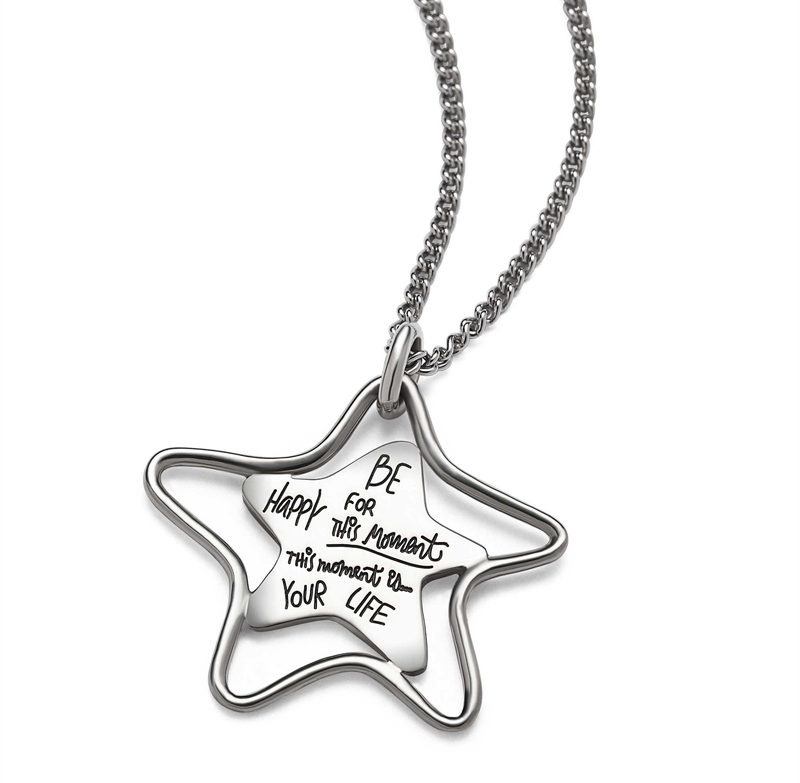 This sterling silver star-within-a-star reminds the wearer to focus on the present. Let the past drift away and the future blur into the distance because there is only right now.